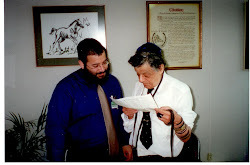 Although I never met Levi OBM in person, trying to go through a conversion to Judaism I looked for things to connect with. Each Shabbos Devorah would say a Mi Sheberakh for Levi Yitzchok ben Tzirel and the name grew in my memory to the point where when she wasn’t present to say it for him I would. Each holiday, amidah, any opportunity to bring a speedy recovery for Levi I took. Then it hit me, I was actually doing more mitzvahs and perpetuating my process into converting just through the motivation Levi had on me. I figured the more good and positive things I did the healthier his Neshema would become and hopefully his body as well. I would not be as far in this process today had it not been for such a positive wonderful impact from a wonderful shaliach I never met.